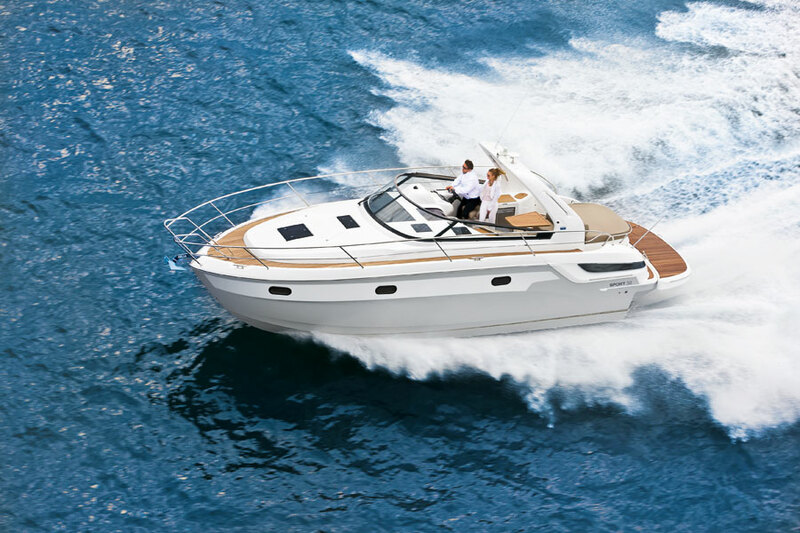 Their innovative styling includes exclusive features both on the exterior and below deck, giving all Bavaria motor yachts a completely new design. In addition, all models will now come with hydraulic steering for easy handling. 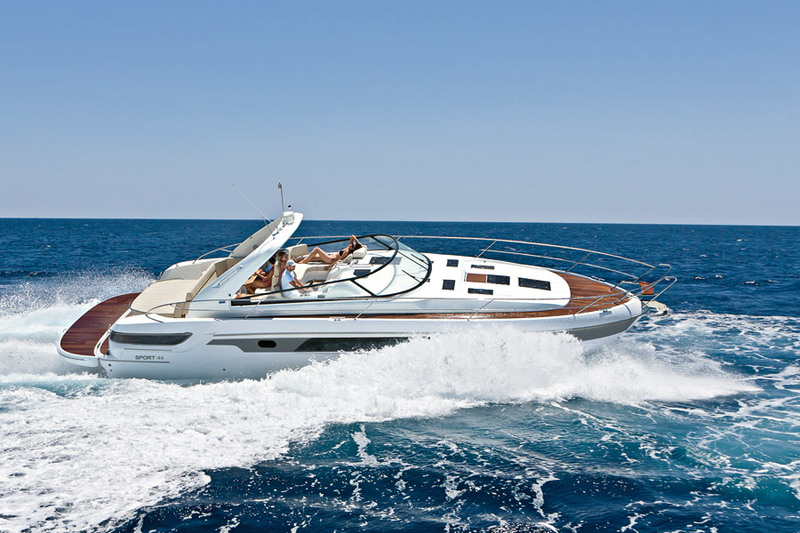 From the outside the new Sport yachts stand out due to their exceptional design. 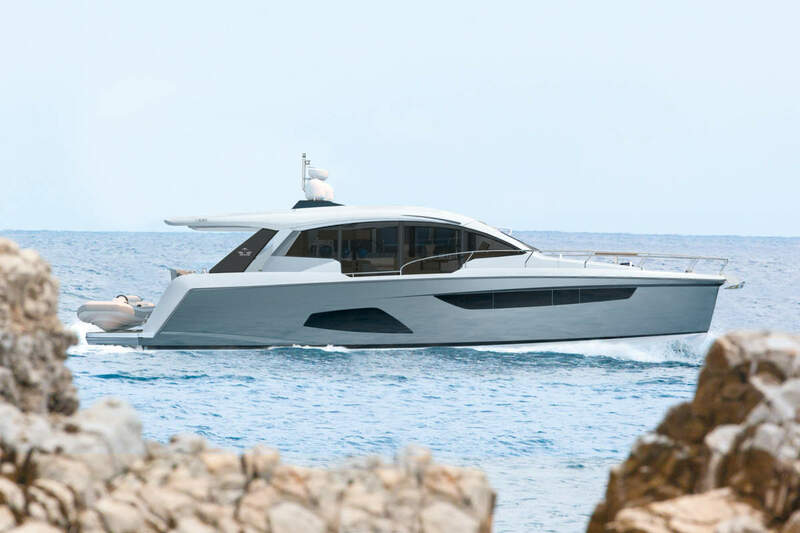 Models from 35-foot up feature a long, sleek, panorama window and large hull window as standard. 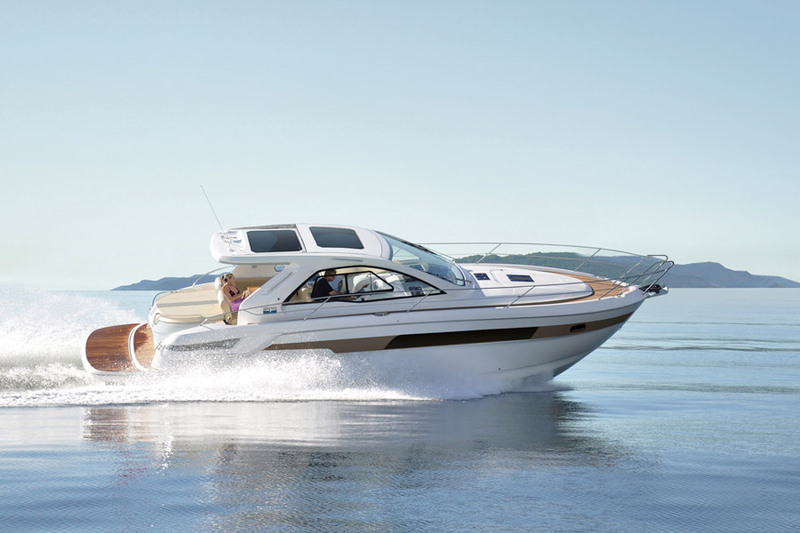 All boats in the Sport line have a coloured design stripe to round off the dynamic styling. At the back of the hull, the ventilation openings also fit in neatly to the overall design. The modern form and black surrounds of the portholes are evidence of the workmanship and attention to detail that characterises each boot in the Bavaria Sport line. Below deck, numerous hull windows create a light and welcoming ambiance, while the high quality furnishings and veneers all reinforce the exclusive design. In addition, for owners ordering the optional multi-media package, the 19” TV screen has been upgraded to 22”. Fine teak deck flooring is also now optionally available in place of iroko across the whole collection as is hydraulic steering for easy handling. The move from manual to hydraulic steering on all models as standard is an important highlight. Autopilot is also optionally available across the collection. 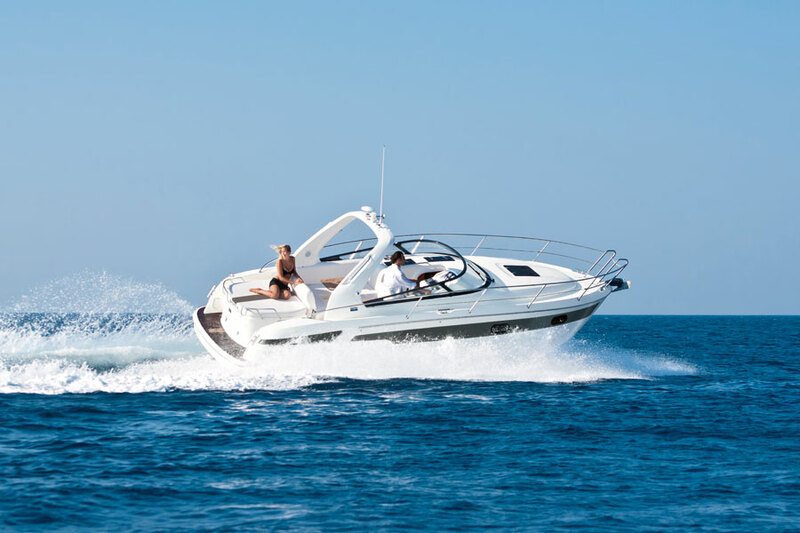 With their powerful range of motorisation options, the Sport boats will satisfy all performance expectations and ensure comfortable and easy handling. 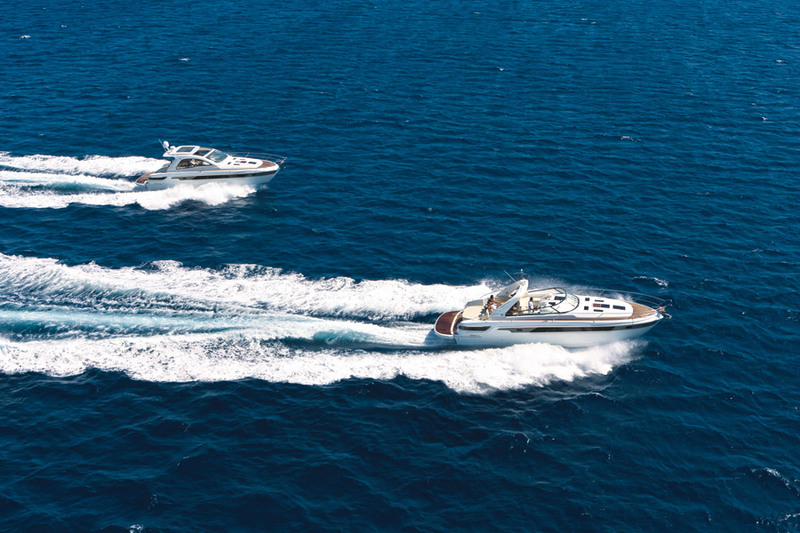 And from August 2012, all Volvo Penta Diesel motors will be equipped with an e-key. The new Bavaria Sport line up is a positive step forward for the brand setting new standards in dynamic design and comfort.